Unfortunately websites don’t market themselves. There are so many millions of websites out there now, thousands of them promoting the same or very similar goods or services, that to maximise the effectiveness of your website at attracting new business takes some thought and planning. In fact, I’d go so far as to say that if you create a website without having a plan for attracting visitors to it, and without knowing what you want them to do when they get there, you would be wasting your money. And the way your website is designed and built will vary, depending on which answer you give. To maximise the effectiveness of your website you need to choose one objective for it (i.e. choose one of those answers). The answer you choose will define how your website is set up and what functionality is built into it. For example: if your objective is to get people to visit your real-world shop you would not need an online shop on your website. So your first step, even before looking for a website designer, is to define clearly what you want your website to do for your business. Then, at the very least, your website designer will know what functionality needs to be built into it. Once your website is up and running you need to start planning how to attract visitors to it. Here again, you need to be thoughtful: you don’t want lots of visitors, you want targeted visitors – people who want to buy what you’re selling. You’re far better off having 100 people visit your site each day, 2 of whom give you some business, than 1,000 people each day, none of whom spend a cent. Where does your target market live (geographically)? What, specifically, does your business offer that’s different from your competitors? What publications or other websites does your target market read (where should you place your ads)? What is the primary problem your business solves for your target market? The purpose of these questions is to narrow the focus of your promotion activities to a specific group of people, with a specific need, in a specific area. The more focused you are in targetting your potential customers the more successful you will be at attracting the ‘right’ kind of visitors to your website. 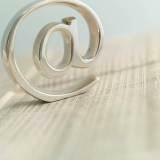 Email Marketing, which I covered back here, and where, again, the purpose is to develop a warm market because it’s so much easier to sell to. Marketing online is still cheaper than many other channels, particularly television or radio, but you can still rack up a very big bill, very quickly, if you don’t plan and execute a focused, targeted strategy. Again: define clearly in your own mind what you want your website to do for your business before you start the process of designing and building one. And once you’re ready to start promoting it you need to work with someone who understands the process of marketing online. Whatever their fees may be, they’ll be less than you’ll end up spending if you don’t get it right!